The Chevrolet LC9 is a 5.3-liter, 320-hp V8 engine that delivers a great balance of power, torque, and efficiency. A more refined and user-friendly option than our LS3 builds, the LC9 provides an enjoyable daily cruising experience that will make highway driving enjoyable for all. The Chevrolet LS3 is a 6.2-liter, 430-hp V8 engine that became famous for its use in vehicles like the Corvette. 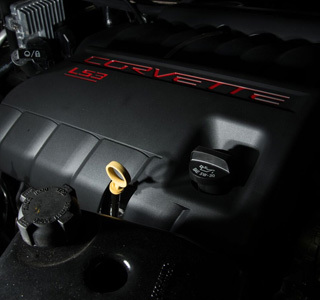 Known for its performance and efficiency, the LS3 is an outstanding option for owners looking to add a little speed and excitement to their daily lives and who want the absolute best of everything. To provide stopping power we recommend turning to Wilwood brakes. Slotted and vented rotors all around that are equipped with six-piston calipers in the front and four-piston calipers in the rear are more than enough to rein in your newly installed drivetrain. 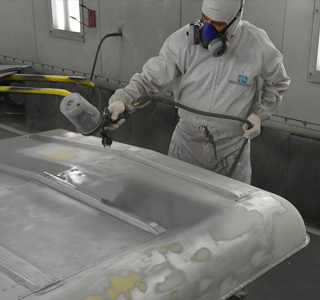 With over 50 years of experience, our in-house paint team knows that the devil is in the details. Our team will disassemble, prep, and spray, all by hand, your new finish to your exact specification providing you with perfect results even for the most discerning eye. Looking for a change in scenery? Select every aspect of your upholstery down to the color of your stitching. 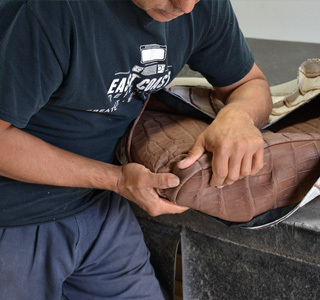 Whether you’re looking to upgrade to a premium Puma leather covered dashboard or quilted, hand-stitched seats, our expert upholstery team will finish your vehicle’s interior in the design and colors of your choosing. 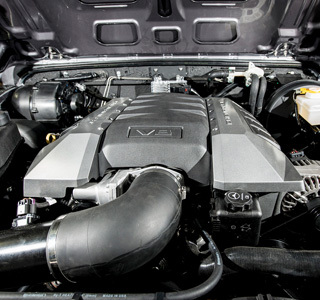 All East Coast Overhaul builds that are equipped with brand new LC9 and LS3 crate engines will come backed by GM’s 2-year/50,000 mile warranty that is covered across the United States at several local dealers. Contact us for more details on additional warranty information with our Land Rover Defender engine conversions. Our dedicated and experienced team will take the utmost care with your vehicle and deliver something back to you that will make you smile for years to come.